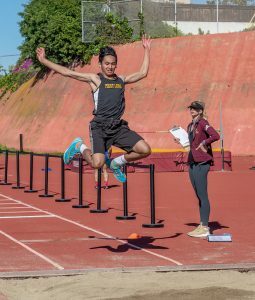 The Point Loma High School Boys’ and Girls’ Track & Field teams defeated Scripps Ranch on Thursday 4/11/19. The Boys’ team won with a score of (86-50) and the Girls’ team walked away with a victory of (73-63). Our next Track Meet is at home on 4/18/19 at 3:30pm vs. UC High School.